The transfixing close-ups of Jamaicans are evidence that the eye is the window to the soul; each dead-on stare into the lens heightens the personal and political histories overlaid on the soundtrack. In demystifying the process of getting into one of the most prestigious film schools in the world, she exposes the ambivalence about race and class and the overall blindness to conversations surrounding diversity and inclusion that remain at the core of these institutions. The brilliance of the film is in its show-and-not-tell ethos; the history reverberating beneath the narrative speaks to characters striving for democracy and freedom, or some semblance of them. 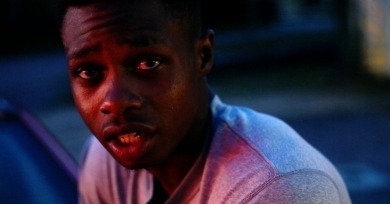 Emancipating the image feels like a goal in Hale County, which loosely follows the lives of Daniel Collins and Quincy Bryant, ballplayers who are simply living and striving and working. Will is affected by not just PTSD but also a self-serving, deluded masculinity that is killing his relationship with the only person he has in this world. The central, intentional frustration of the film stems from our desire to see them stay together, even as he is denying his daughter the life and community she so desperately needs and craves. Filmmakers are actively pushing up against what it means to make a documentary at all, and the True/False Film Festival caters to and nurtures that objective. I am especially thankful to True/False for exposing me to new possibilities for Black cinema.